Euronav reported its non-audited financial results for the fourth quarter of 2018 ended December 31, 2018. Paddy Rodgers, CEO of Euronav said: The VLCC trading performance in Q4 2018 gives an important signal on the structure of the large crude tanker market. VLCC freight rates trading at rates not seen in the last two years demonstrate an already tight balance between tanker demand and supply. 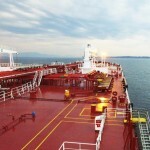 The factors impacting the crude tanker market are very dynamic and likely to remain so for the foreseeable future. The fundamentals such as oil demand, ton mile expansion and vessel supply remain on an improving trajectory that should be reflected in a healthy rate environment”. For the fourth quarter of 2018, the Company had a net profit of USD 0.1 million or USD 0.00 per share (fourth quarter 2017: a net profit of USD 19.4 million or USD 0.12 per share). Proportionate EBITDA (a non-IFRS measure) for the same period was USD 108.5 million (fourth quarter 2017: USD 95.7 million). o The New York Gener8 office was sublet at lower rates than the current contract until the end of the lease in September 2025. This provided additional information as to the fair value of the lease agreement on June 12, 2018 and which resulted in a decrease of USD 5.3 million of the bargain purchase gain initially recognised. o The technical inspection of certain vessels led management to reduce the fair value of the two LR1, Companion (72,768 dwt – 2004) and Compatriot (72,678 dwt – 2004) by a total of USD 6 million for those two vessels. o The completion of the analysis and the receipt of additional information related to certain old claims resulted in the write off of the related receivables for a total of USD 1.9 million. – Due to larger than anticipated changes in the yield curve the Company recorded a USD 0.5 million charge for marked to market valuations on interest rate swap positions inherited from Gener8 Maritime. Euronav wholeheartedly embraces the IMO 2020 regulations – we want to adopt the new regulation properly, universally and without delay. Euronav continues to work closely with suppliers and producers on alternative mechanisms in which to capture volatility in the prices and differentials between HFO and LSFO and retains a very strong balance sheet providing optionality and flexibility to address the challenges of implementing IMO 2020. Furthermore, the company notes that an increasing number of jurisdictions have decided to ban Open-Loop scrubbers in order to preserve the environment where it can easily be regulated. 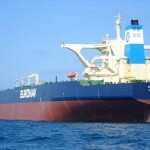 For further details on our positioning and preparation please visit the investor section at our website www.euronav.com. As part of our capital allocation strategy, Euronav has the option of buying our own shares back should the management and Board believe there is a substantial value disconnect between the share price and the real value of the Company. This return of capital is in addition to the fixed dividend of USD 0.12 per share paid each year. The company started buying back shares on 19 December 2018 and has announced share buybacks on 2 January 2019, 10 January 2019 and 21 January 2019, with a total of 1,419,629 shares. Euronav may continue to buy back its own shares opportunistically. The extent to which it does and the timing of these purchases, will depend upon a variety of factors, includingmarket conditions, regulatory requirements and other corporate considerations. Euronav has no outstanding capital commitments beyond usual maintenance expenditures associated with our dry docking schedule and the installation of ballast water treatment over the next 5 years on the ships that do not currently have such system already in place. As announced on 15 January 2019 the Company sold the Suezmax Felicity (2009 – 157,667 dwt). A capital loss on the sale of approximately USD 3.0 million was recorded in Q4 2018. The cash generated on this transaction after repayment of debt is USD 21.1 million. The vessel has been delivered to her new owners and will be converted into an FPSO and therefore leave the worldwide trading fleet. It has been presented as asset held for sale at year-end. The LR1 Companion (2004 – 72,749 dwt) was sold during the quarter to another shipping company. The vessel came as part of the Gener8 transaction and was a non-core asset. A capital loss on the sale of approximately USD 0.2 million was recorded in Q4 2018. The usual Q4 seasonal uplift was augmented by returning OPEC barrels, rising US exports and record Chinese imports, incentivized by the 35% fall in the price of crude during Q4. Chinese imports hit 10m barrels per day for the first time in November and December. US China trade tensions have largely bypassed oil markets as US crude exports to China have diverted to similar ton mile destinations, e.g. South Korea, Japan and Taiwan. More recently direct US crude exports to China have restarted. Asset prices were firm during the quarter with some second hand metrics (10 year old VLCC) rising. Recycling activity understandably slowed during the quarter with higher freight rates but two VLCCs still exited the global fleet bringing a small negative fleet growth for full calendar 2018. The large tanker fleet has matured with the average VLCC age in the global fleet rising 24% to 9,5 years since 2014. This along with restricted access to capital for many operators implies time expired vessels will be a consistent feature going forward, driving a persistent level of recycling activity. This will restrain fleet growth going forward. 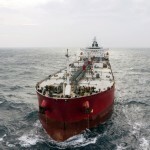 Absorption of an above trend order book remains the key challenge for tanker operators during 2019 and specifically during the first half of the year. Whilst a challenging delivery schedule (79 VLCC equivalents), further Iranian VLCCs (14) are expected to exit the global fleet. Preparation for IMO 2020 will also reduce VLCC equivalent capacity given voluntarily dry docking for scrubber retrofitting (20) and US crude export capacity is anticipated to expand as pipeline constraints are lifted from mid-year (10). These factors, supported by a normalized demand (IEA forecast 1.4m bpd) and recycling patterns, imply an order book that is important but manageable. The dynamism within the crude tanker market is likely to remain elevated during 2019, bringing both challenge and opportunity to tanker operators. Challenges via absorption of the large tanker order book and OPEC led crude supply restrictions will bite during the first half of the year. Seasonal trading patterns are also likely to be embellished by IMO motivated activity as the refinery and oil complex adjusts and prepares for the new fuel regulations. However many opportunities exist from IMO driven disruption reducing capacity, further supply expansion from US exports, a substantially lower spot oil price stimulating demand and re-establishing a (small) contango pricing structure provide supportive factors. 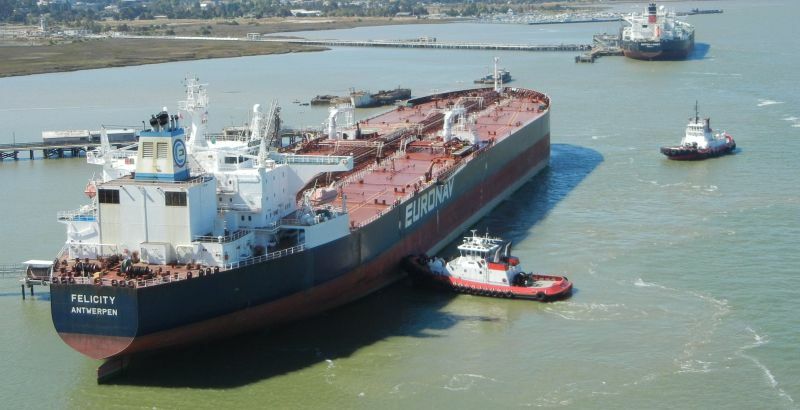 So far in the first quarter of 2019, the Euronav VLCC fleet operated in the Tankers International Pool has earned about USD 41,000 and 43% of the available days have been fixed. 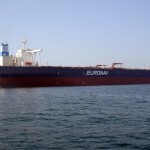 Euronav’s Suezmax fleet trading on the spot market has earned about USD 32,700 per day on average with 36% of the available days fixed. The Euronav Board has approved the appointment of Stamatis Bourboulis and Brian Gallagher to formally join the Executive Committee (ExCo). This takes effect from the 1st of January 2019. 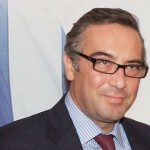 Stamatis Bourboulis new role will be General Manager, Euronav Ship Management (Hellas) Ltd. (ESMH), and member of the Executive Committee. Brian Gallagher will be Head of Investor Relations and Communications, and member of the Executive Committee. Both will report to the CEO in their roles as members of the Executive Committee.